Around 20,000 unique strains from samples isolated in various ecological zones around the world. Offers opportunities to screen for new compounds. 12 ambient controlled shaker rooms with capacity of up to 20,000 flasks to conduct experiments simultaneously. 5 large anaerobic workstations for handling strict anaerobic microorganisms. 19 bioreactors ranging from 5 to 100 L to optimize operating parameters for scale up. 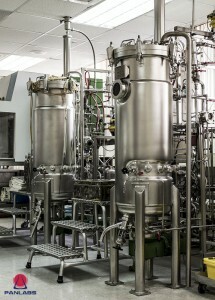 Contract manufacturing partners can provide 1 to 20 ton size cGMP level fermentation tanks and the associated recovery and purification equipment. 3 cold rooms for bulk storage of raw materials and products. Independent analytical group to provide unbiased data collection and interpretation.